Since 1977, with a spirit of innovation, Jyh Yih has become one of the leading companies in the area of High Frequency Machines. Jyh Yih employs experienced technicians to produce what customers demand. Jyh Yih has a reliable reputation and has won a good market all over the world. 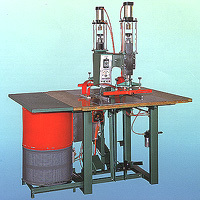 We specialize in designing and manufacturing different kinds of High Frequency Machines. Contact us and we will satisfy your needs.